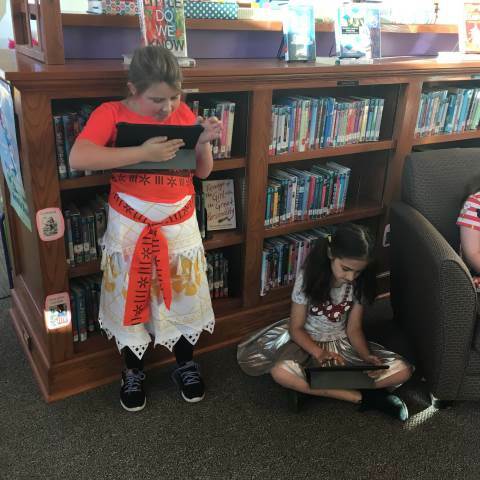 Darlington School: 4th-Graders "Conquer the Realm"
Throughout the year, students in grades 3-8 work on reading projects for the Conquer the Realms reading challenge issued by our librarian, Kaitlin Ward. Students turn these projects in for points for their kingdom in hopes that they will be the winners. Fourth-graders visited the library space recently and decided to work heavily on reading projects.